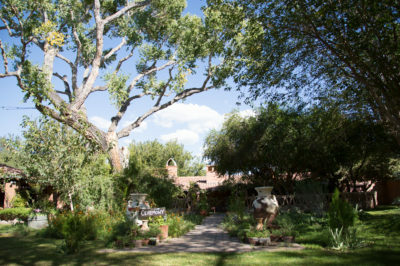 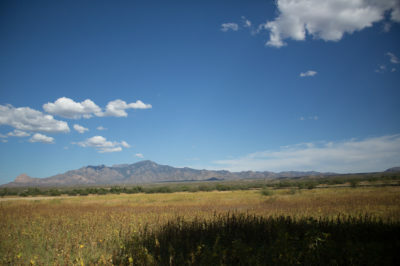 Heading south towards Tubac lies a 63 acre private farm know as Agua Linda. 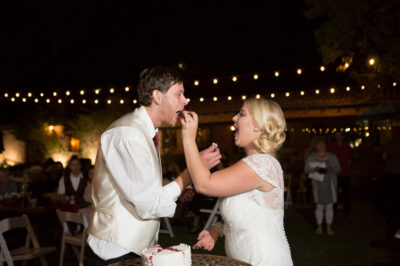 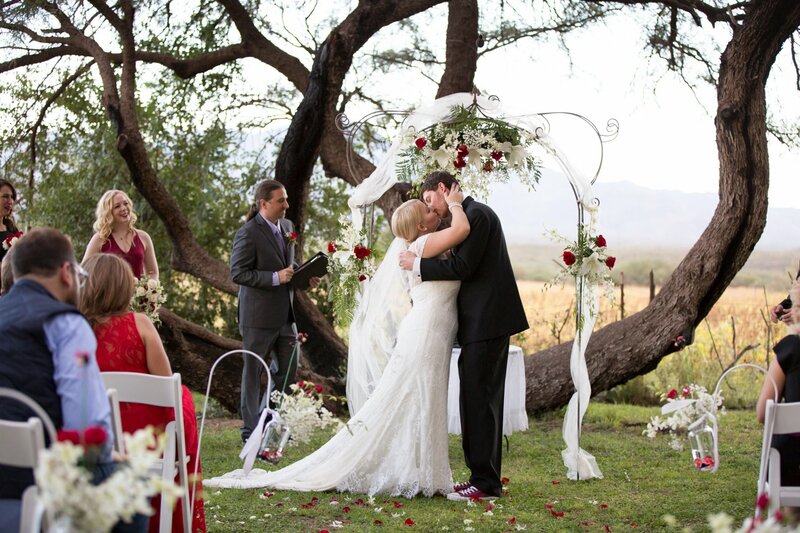 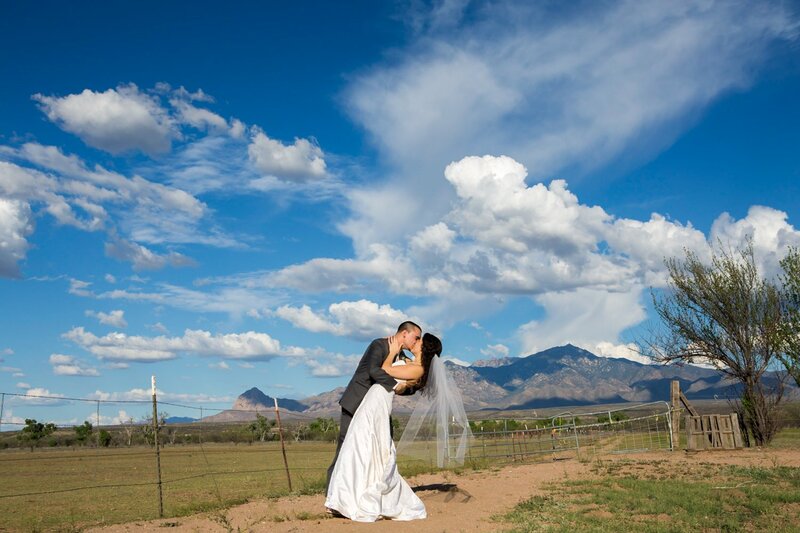 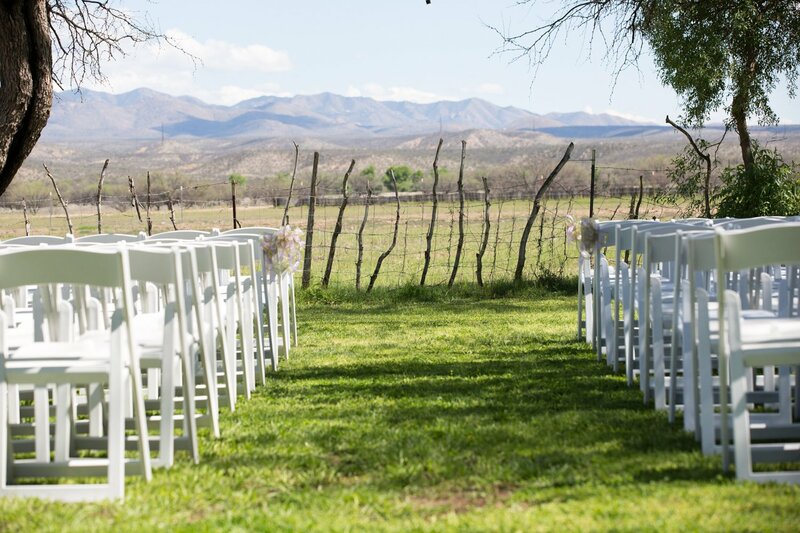 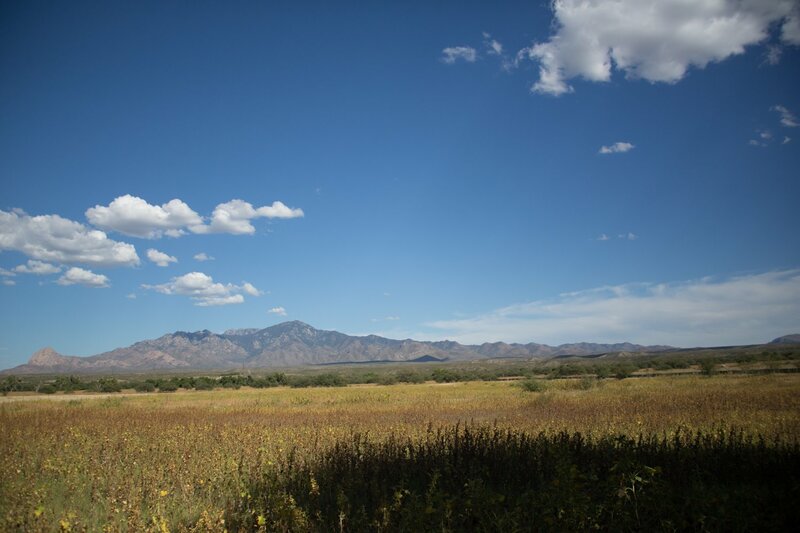 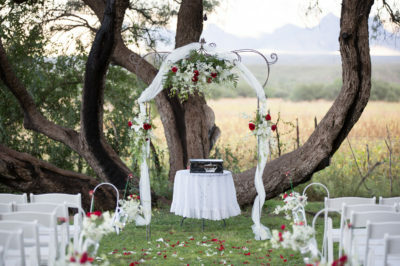 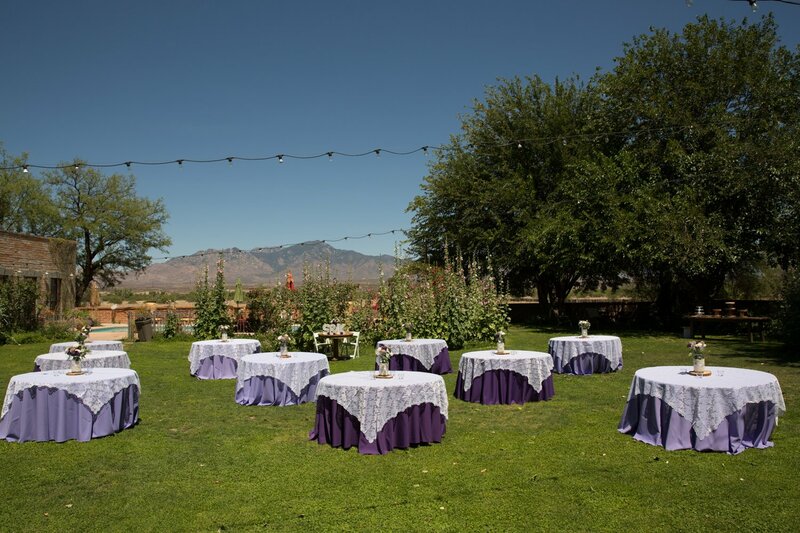 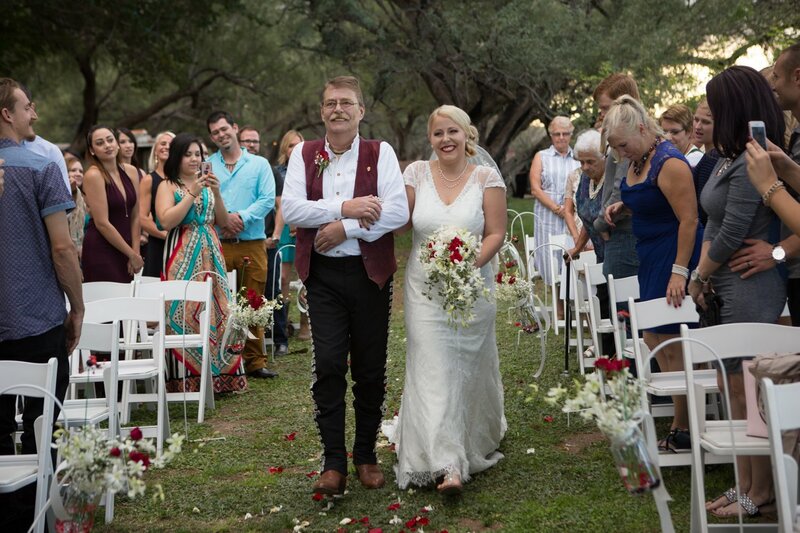 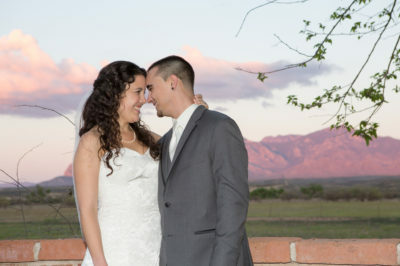 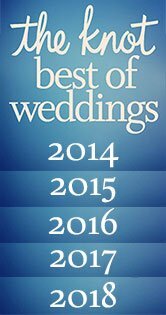 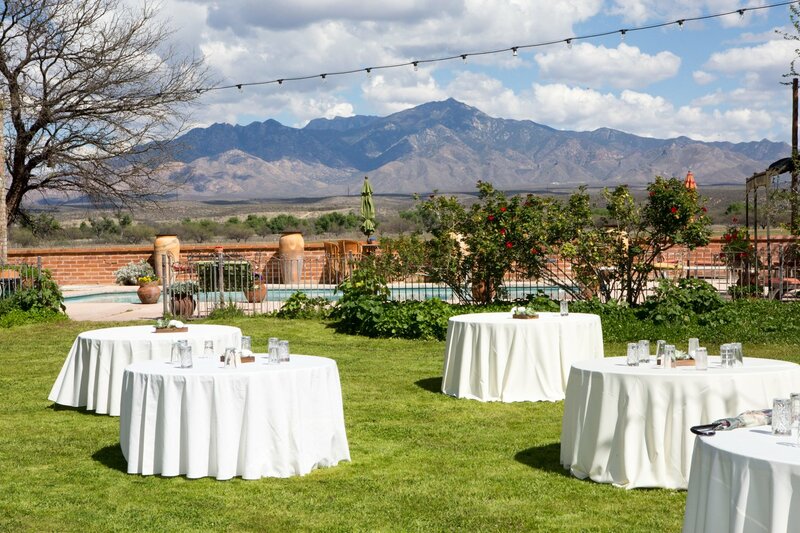 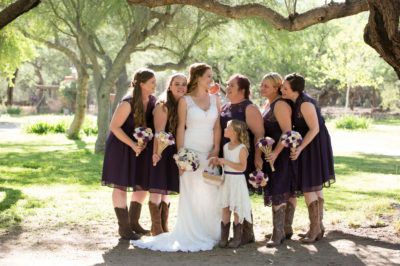 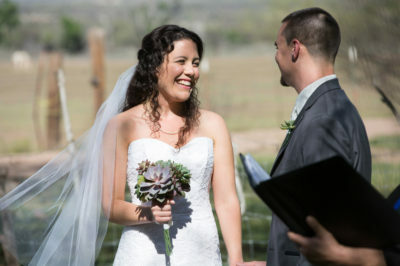 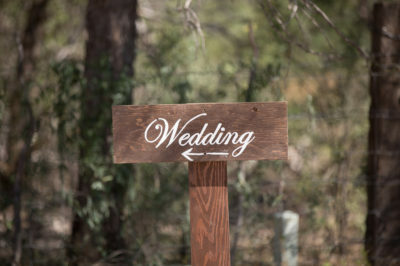 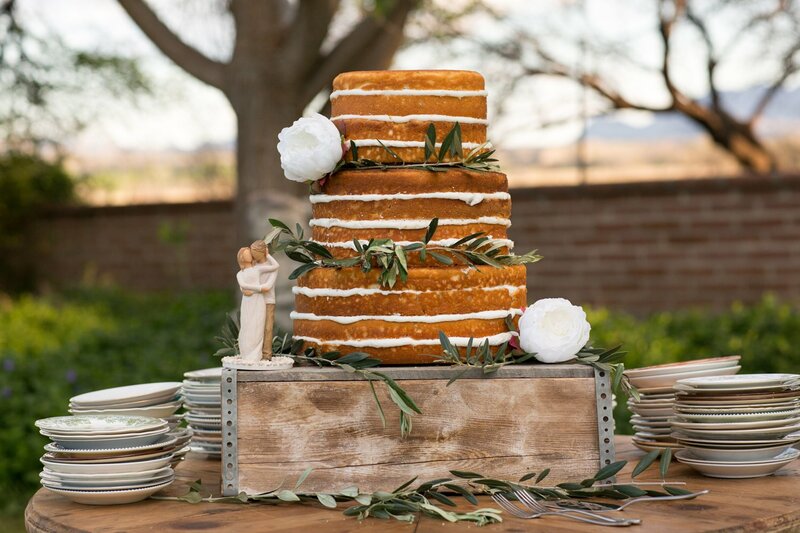 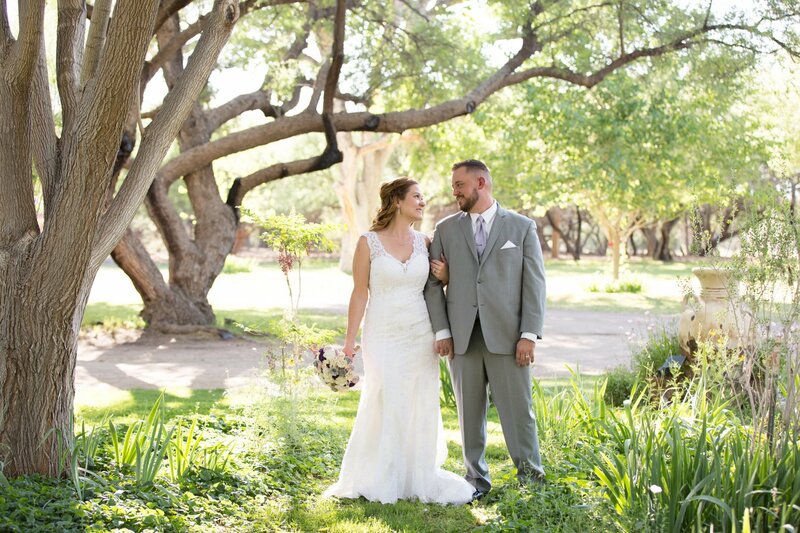 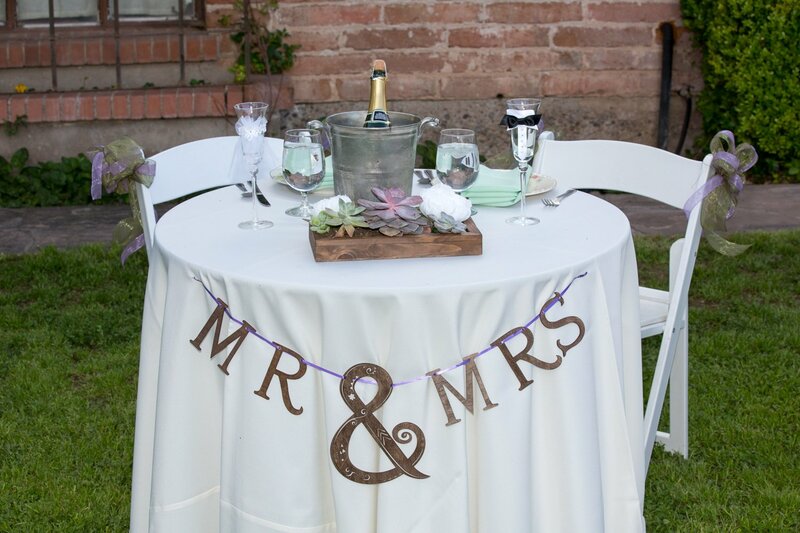 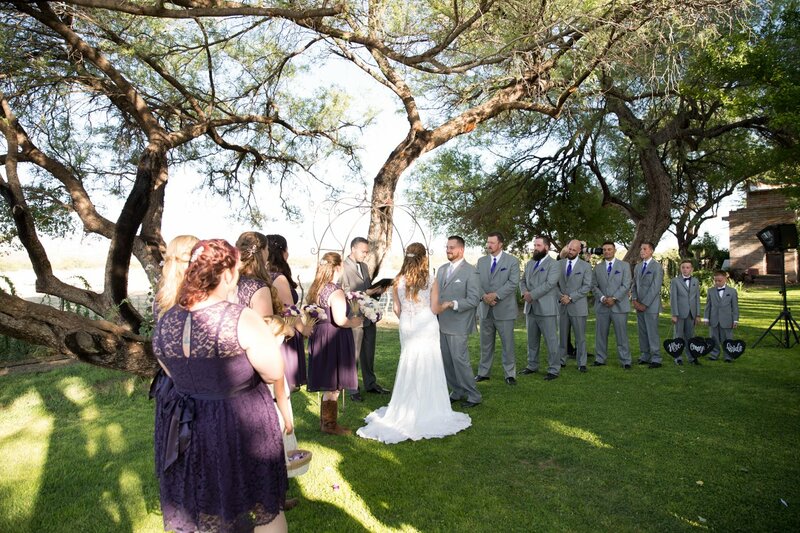 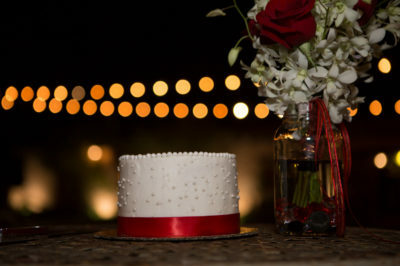 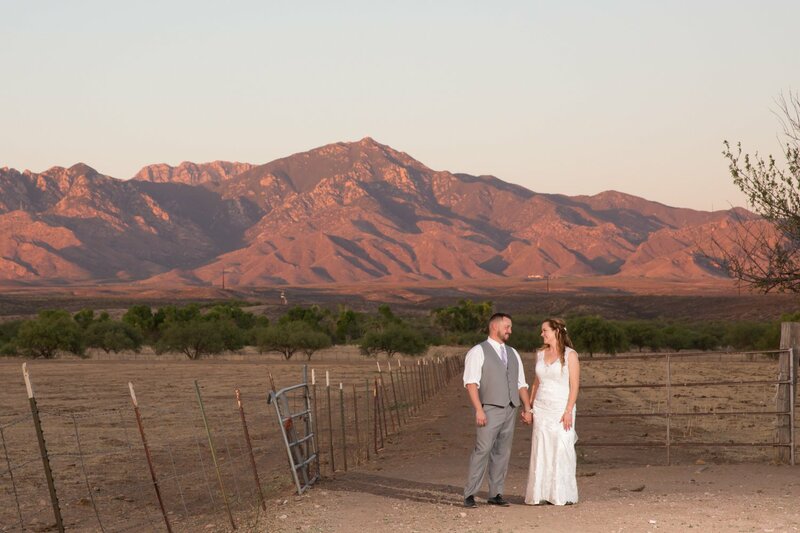 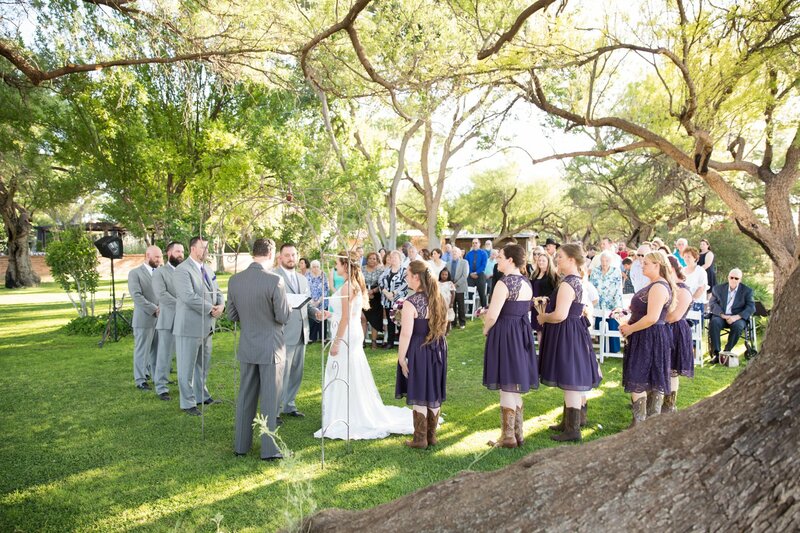 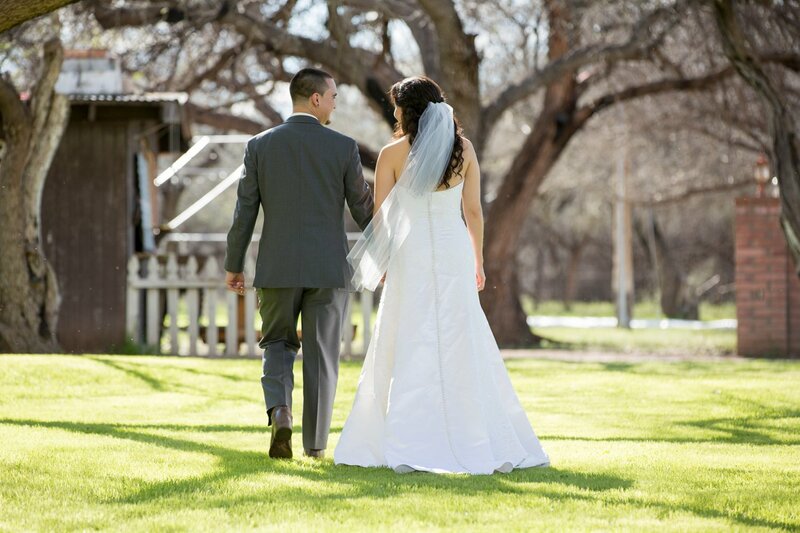 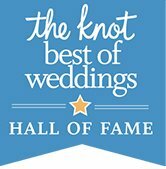 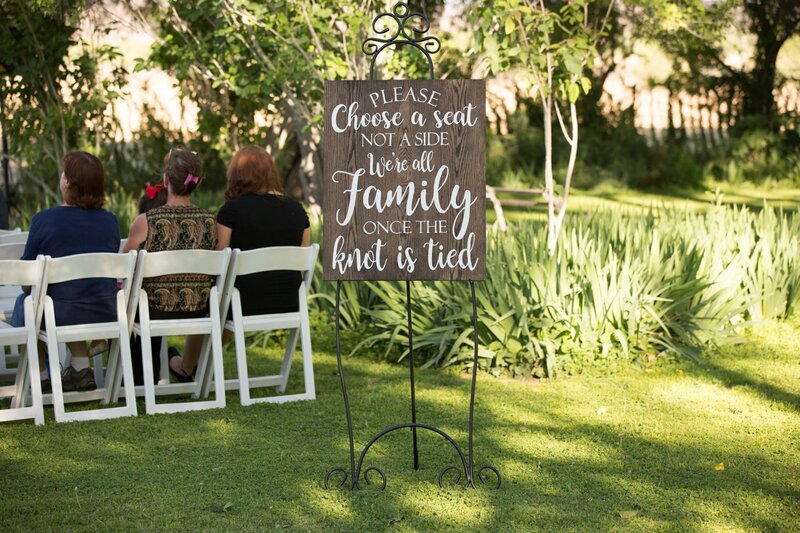 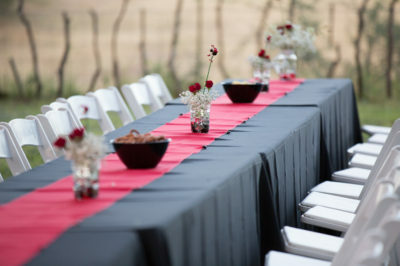 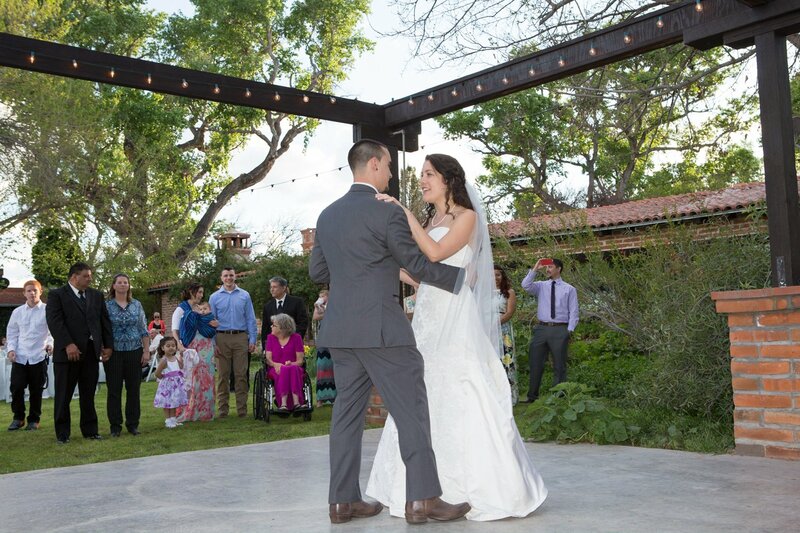 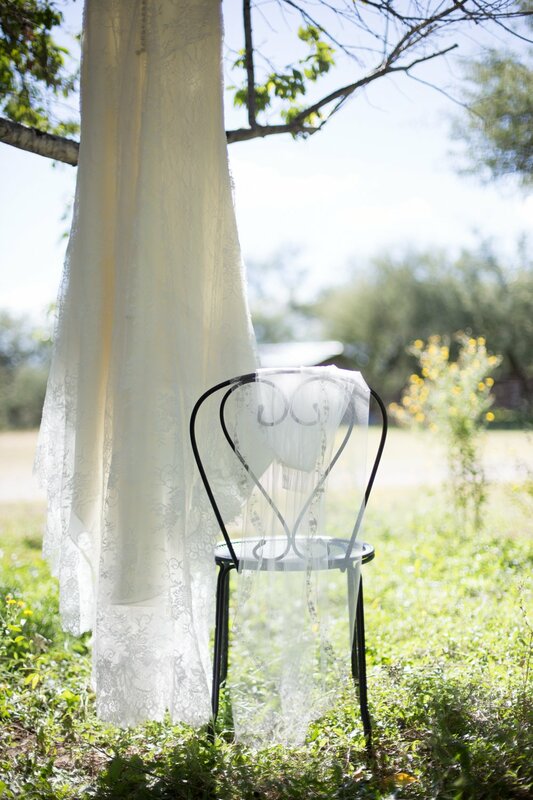 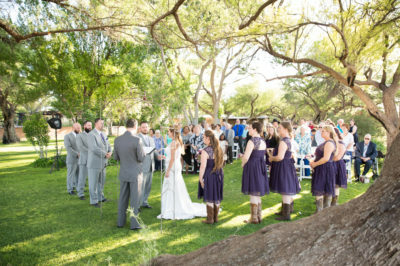 With up close views of the beautiful Santa Rita Mountains from the ceremony lawn, it is easy to see why couples choose this location for their wedding. 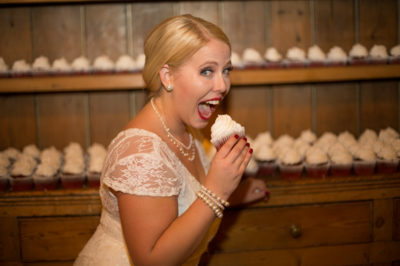 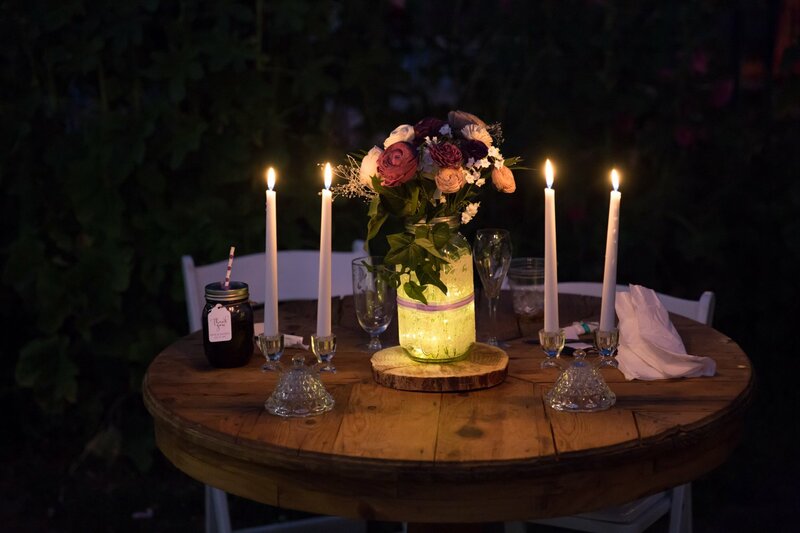 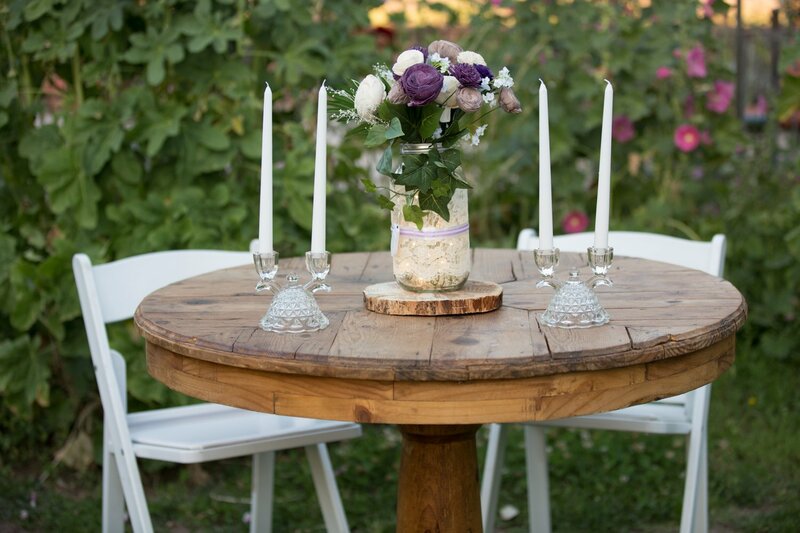 A cute brick farm home provides getting ready rooms for couples and their wedding party. Also, there is plenty of space for everyone to get ready on site. 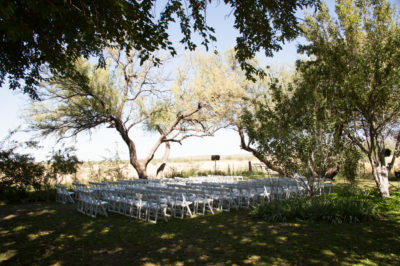 As guests pull into the driveway from the private rock road, there is lush green grass and large trees all around the property. 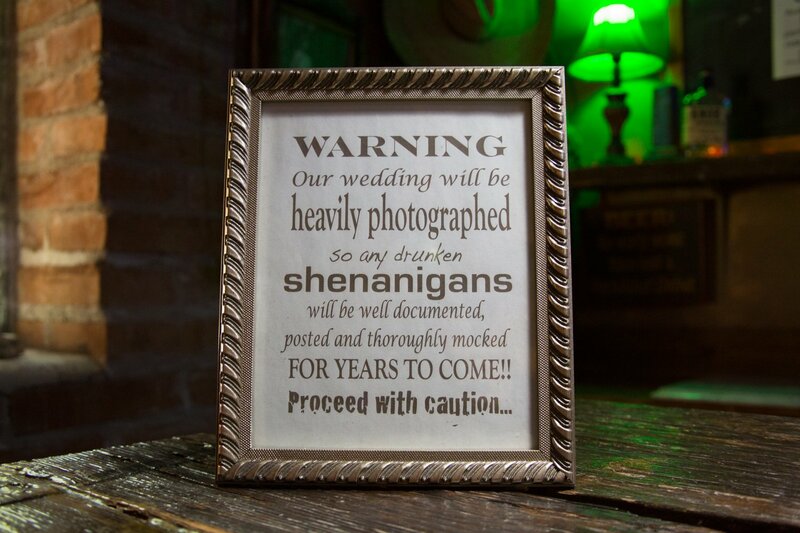 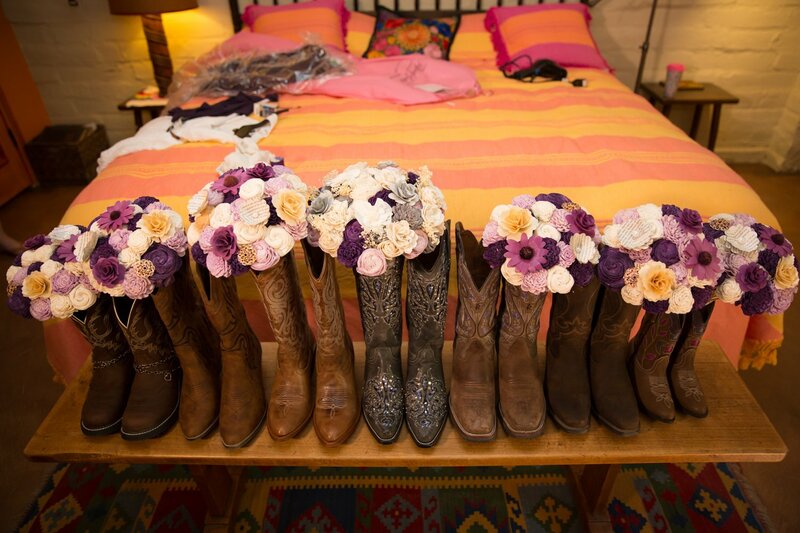 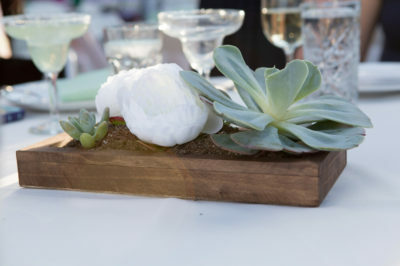 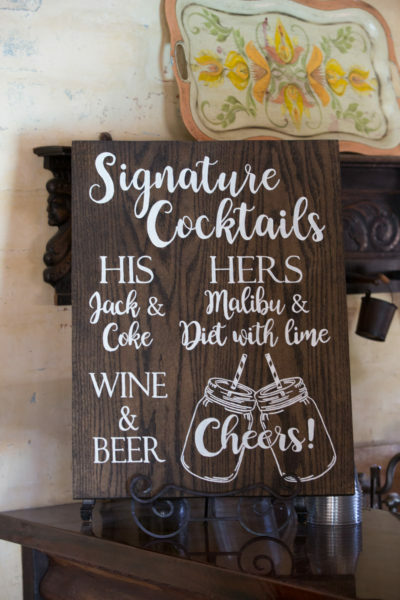 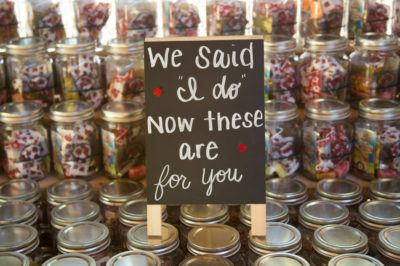 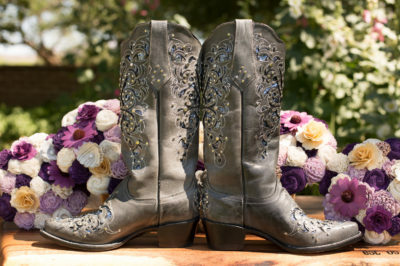 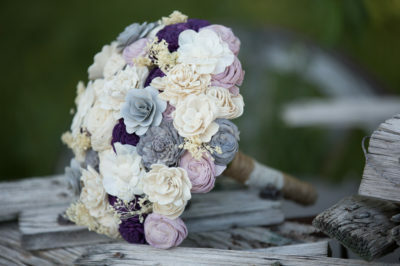 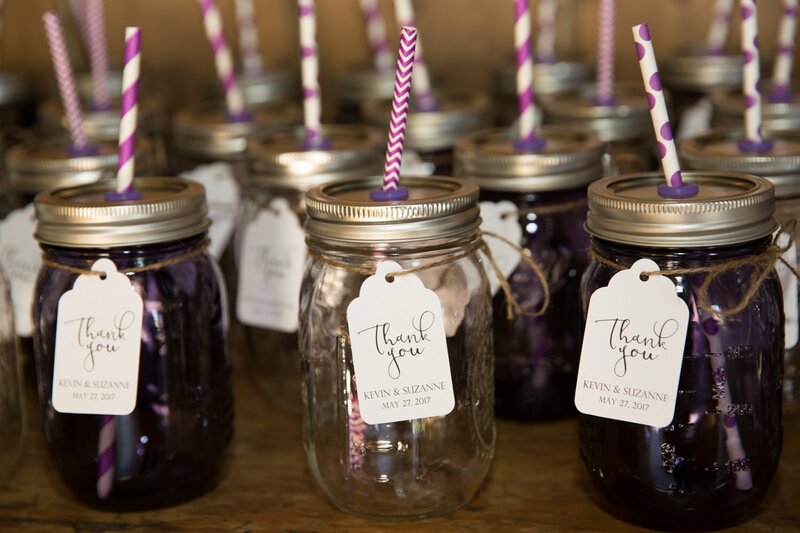 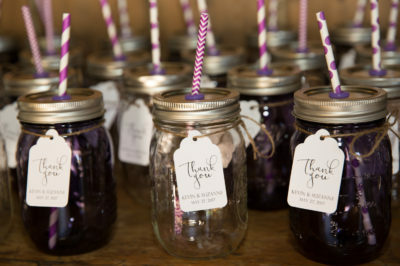 The decor is half cowboy, half rustic and all cute for a wedding. 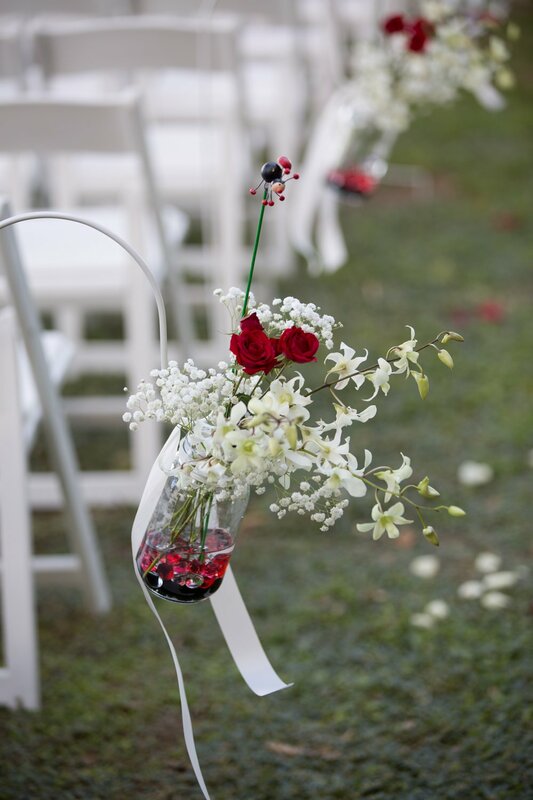 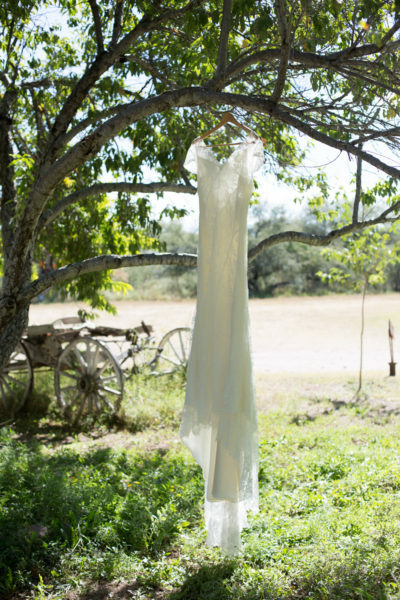 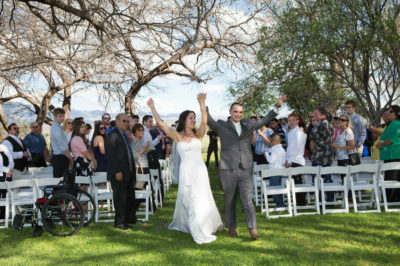 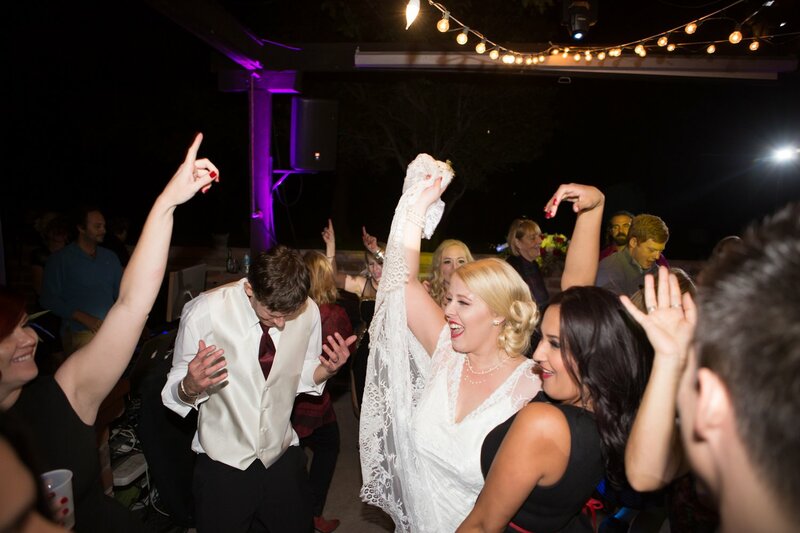 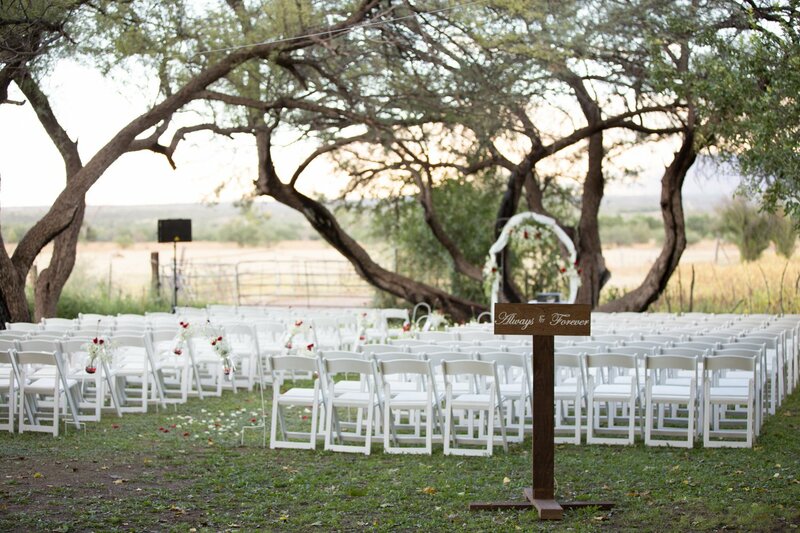 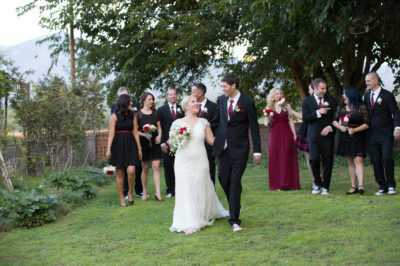 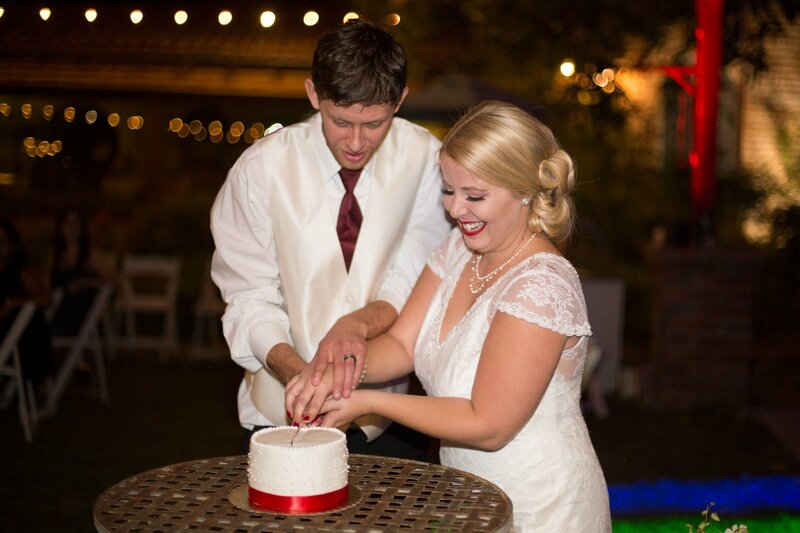 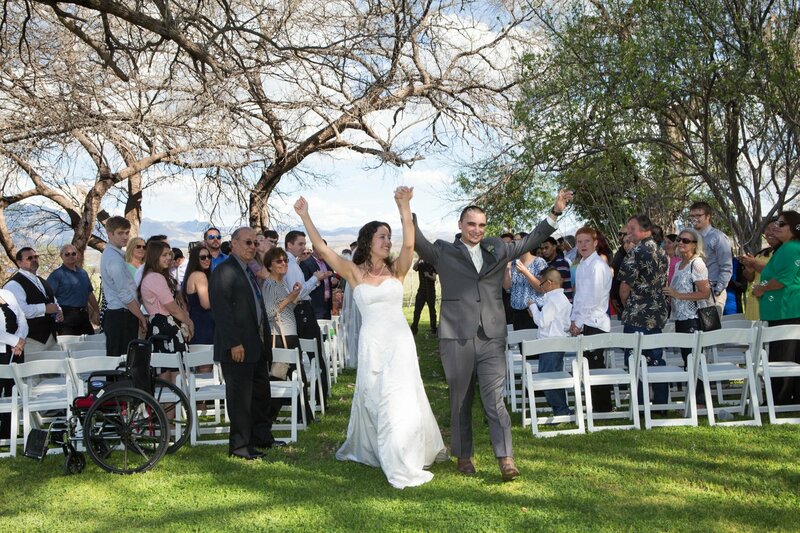 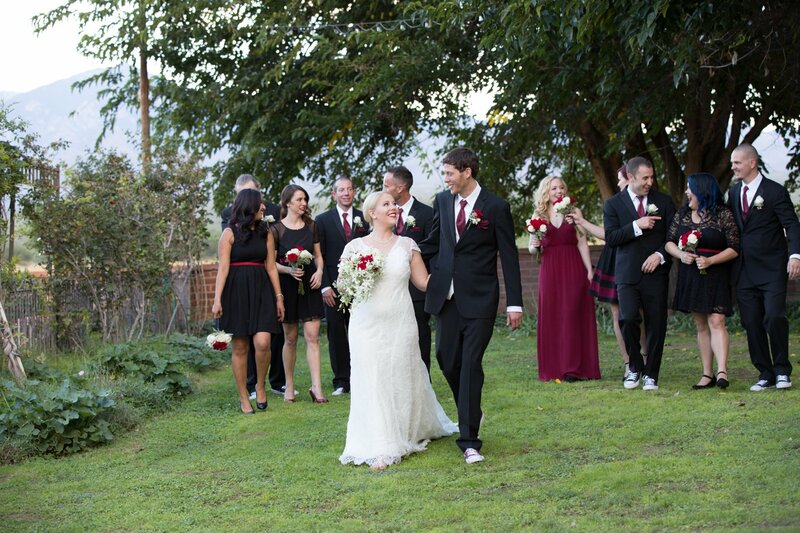 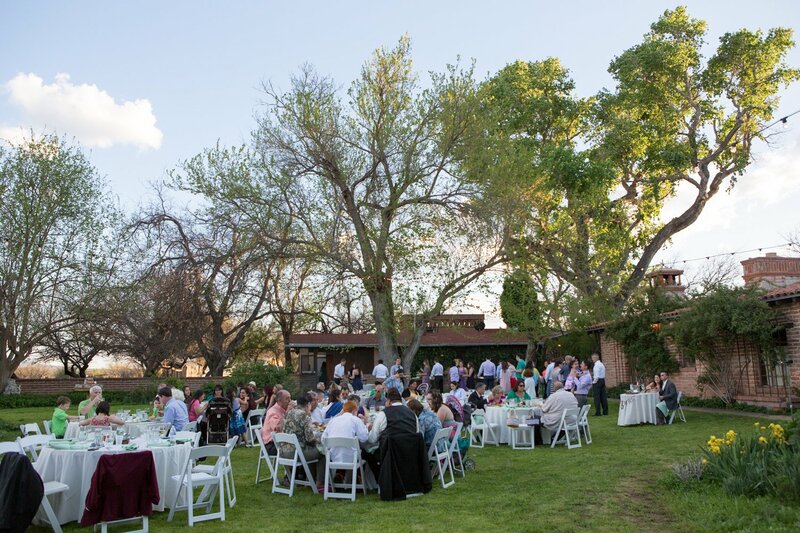 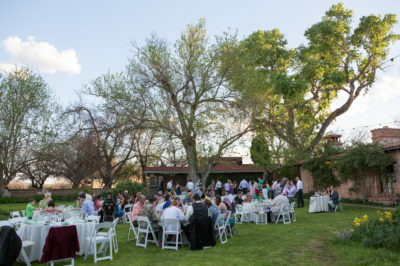 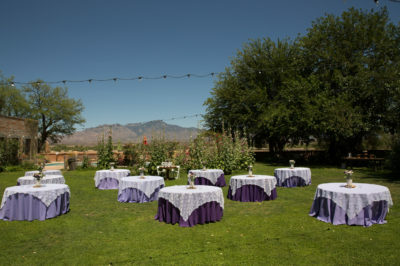 The reception location is on the grass and views of the mountains and sunset are perfect for all to see. 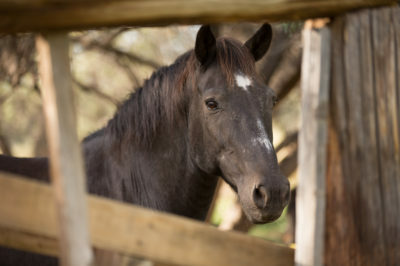 We have witnessed horses grazing near the party and herds of deer passing through. 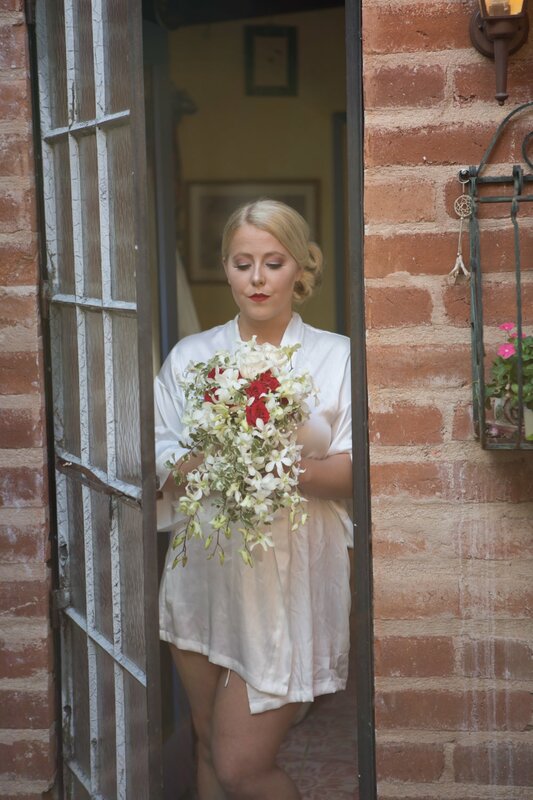 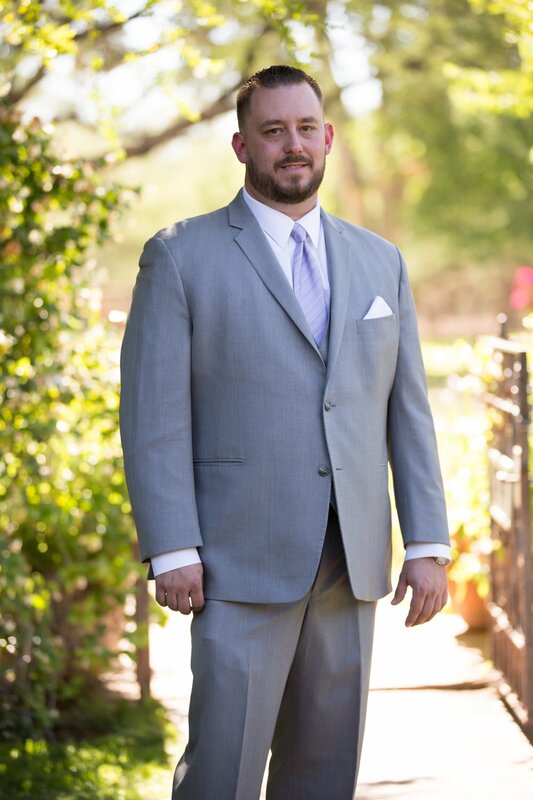 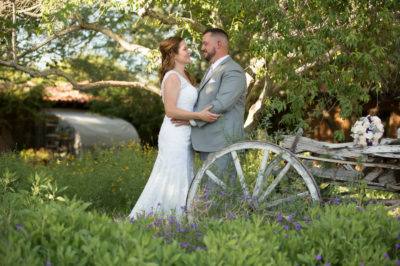 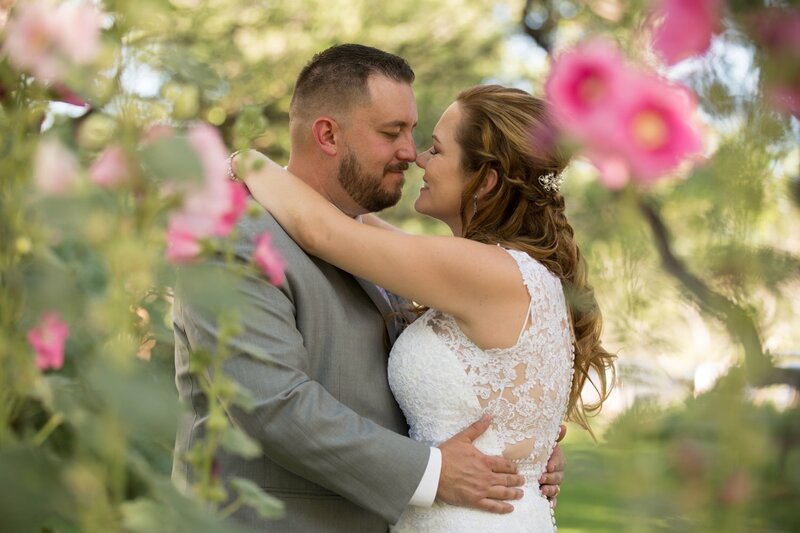 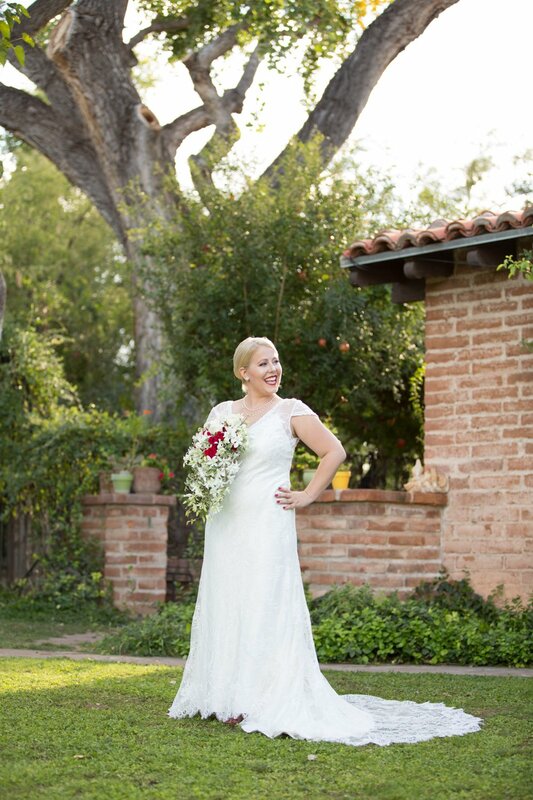 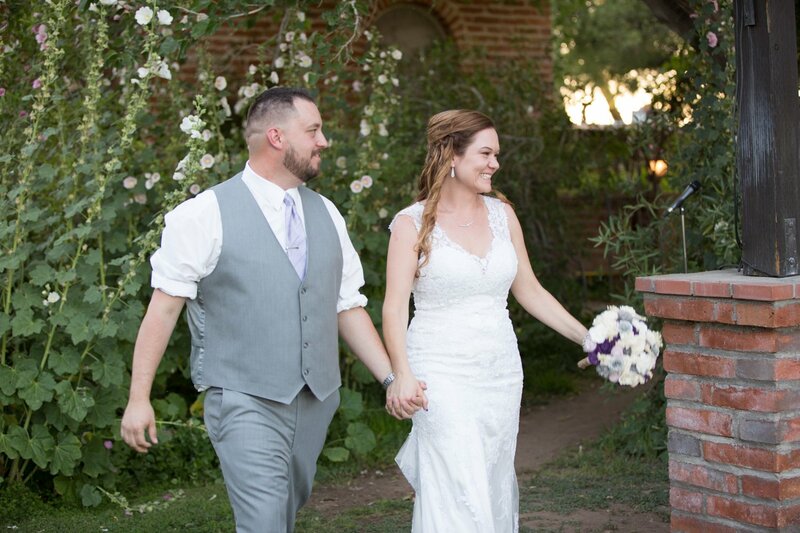 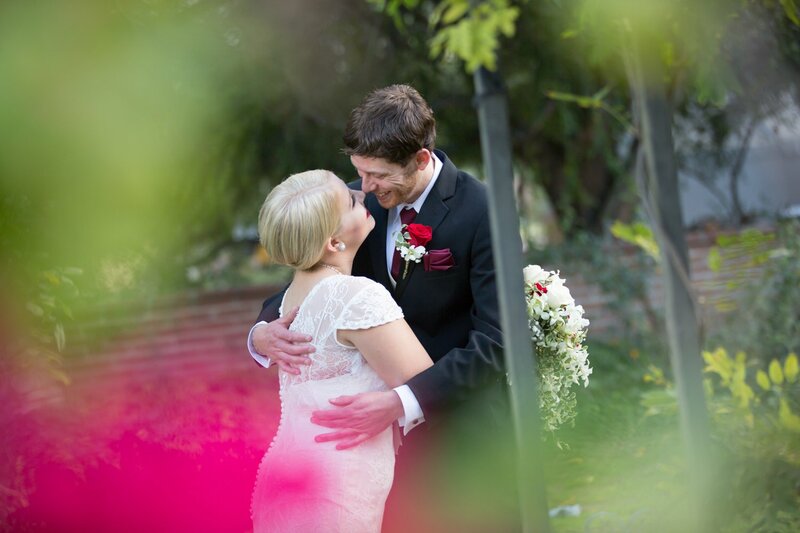 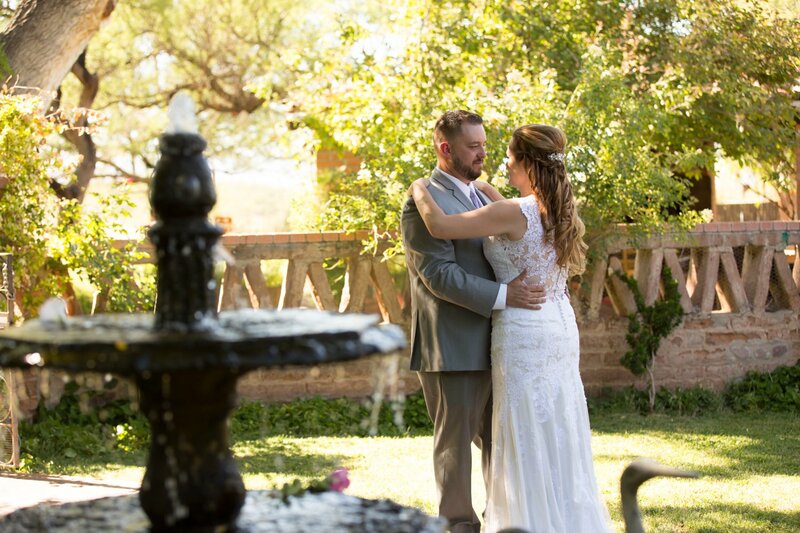 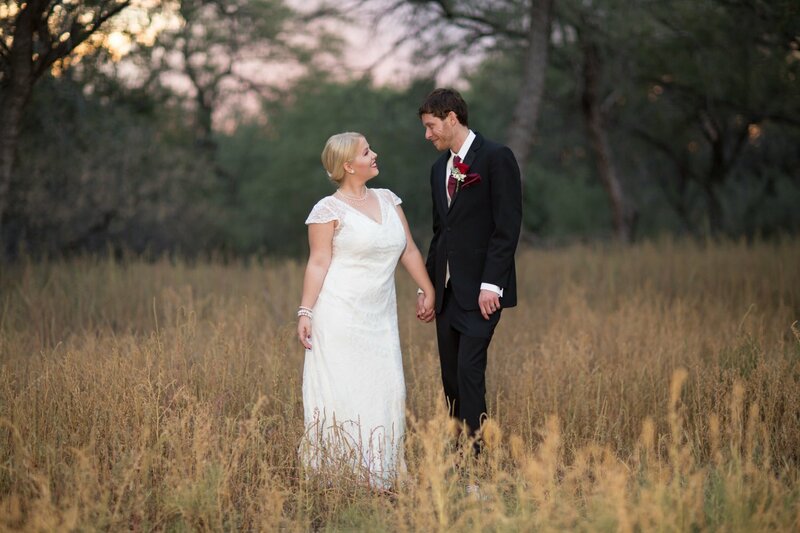 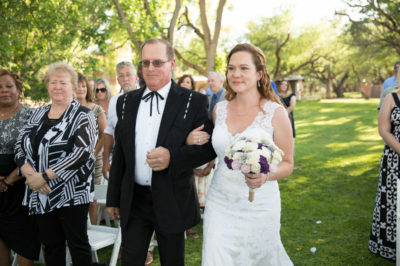 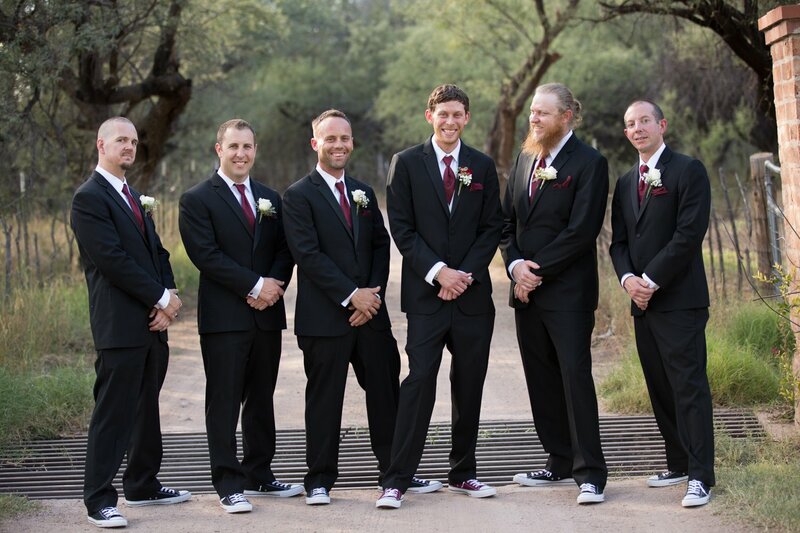 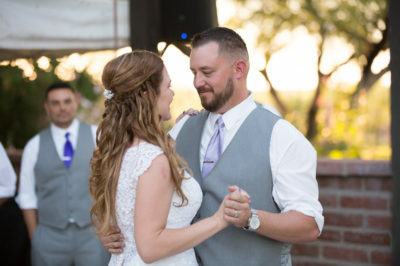 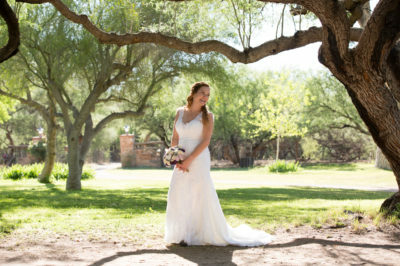 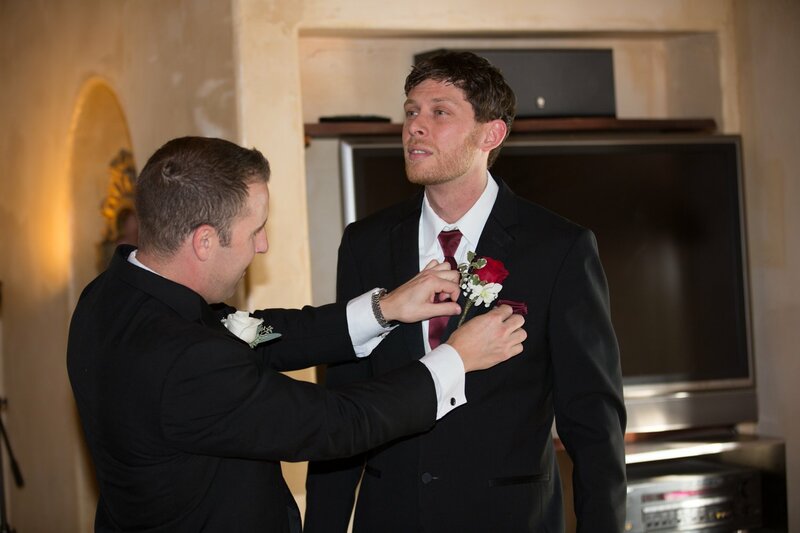 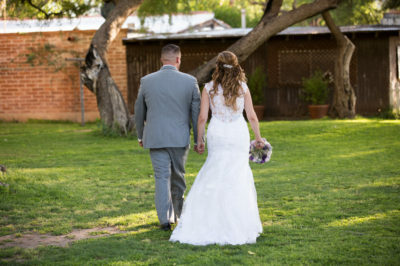 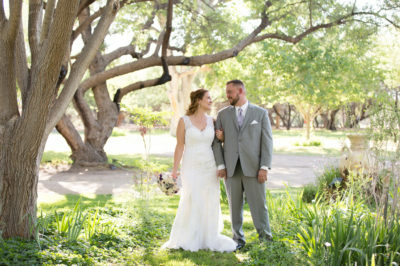 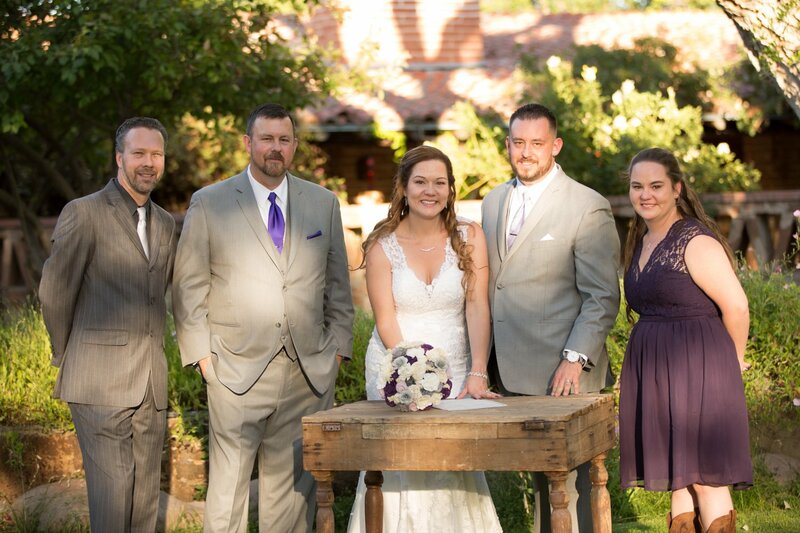 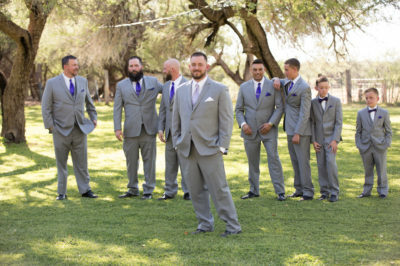 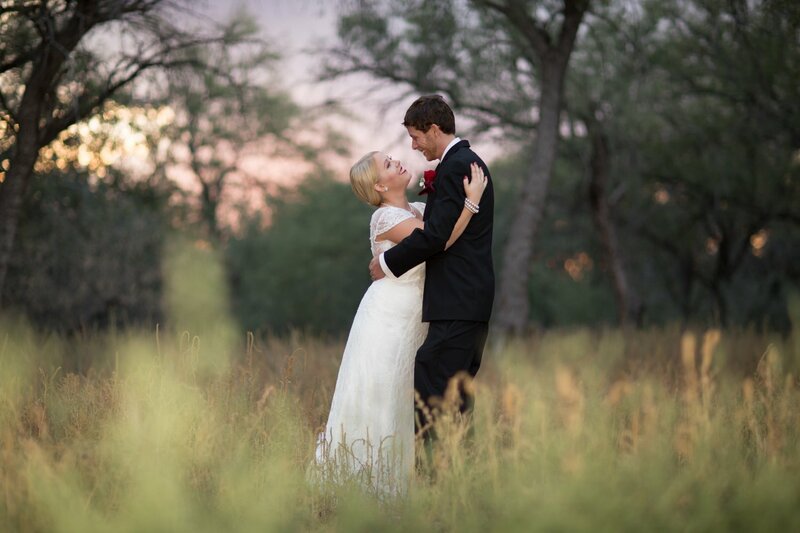 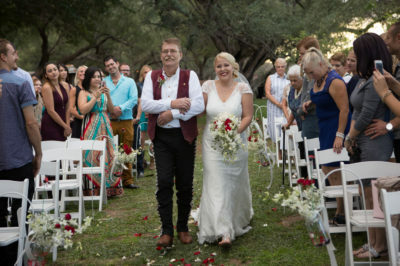 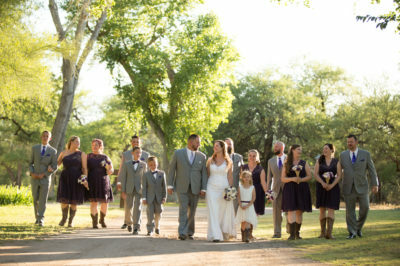 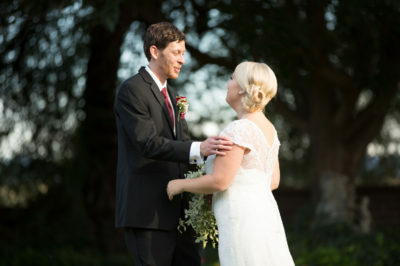 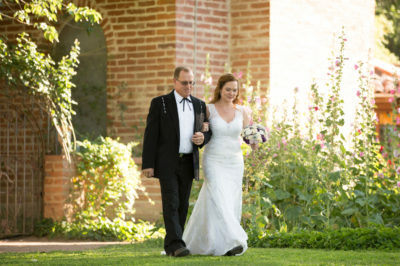 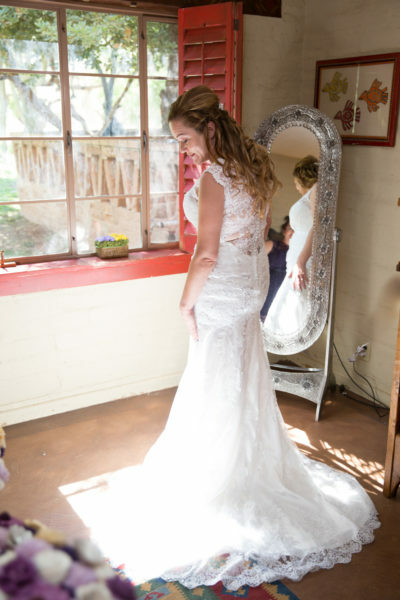 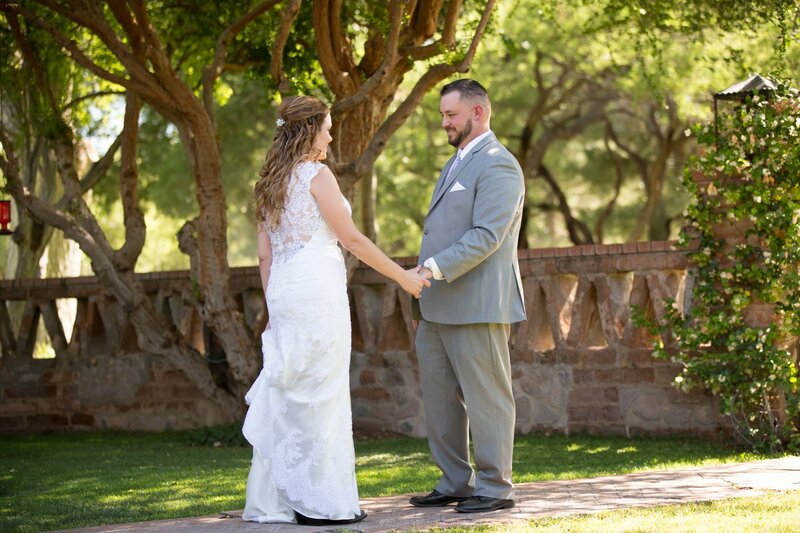 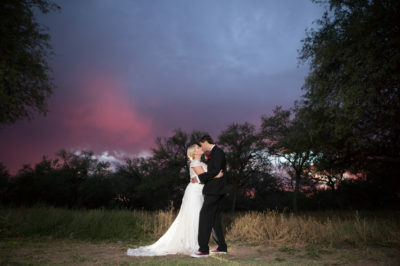 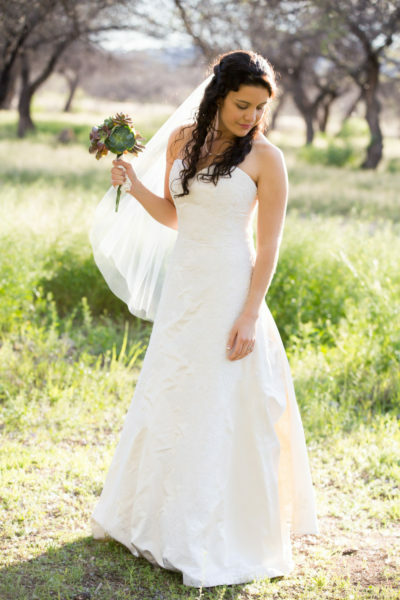 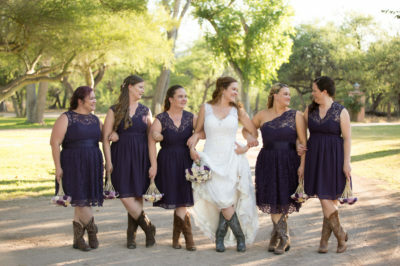 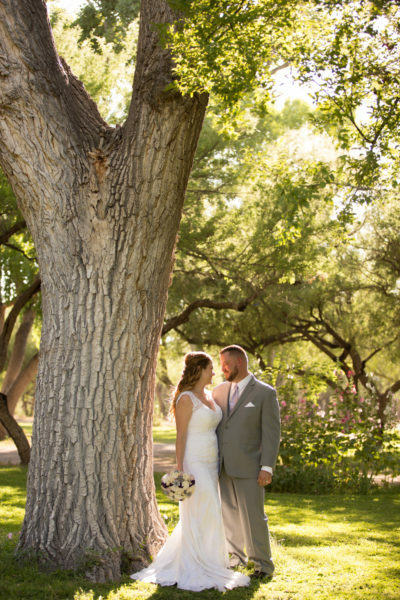 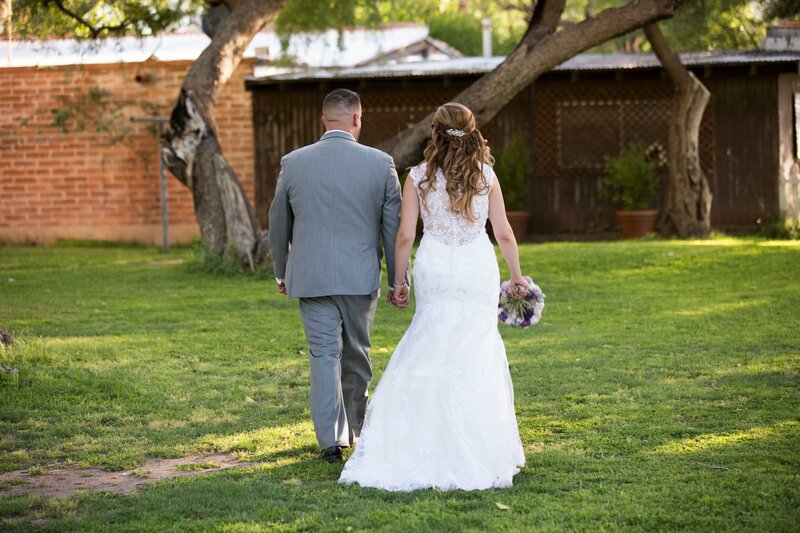 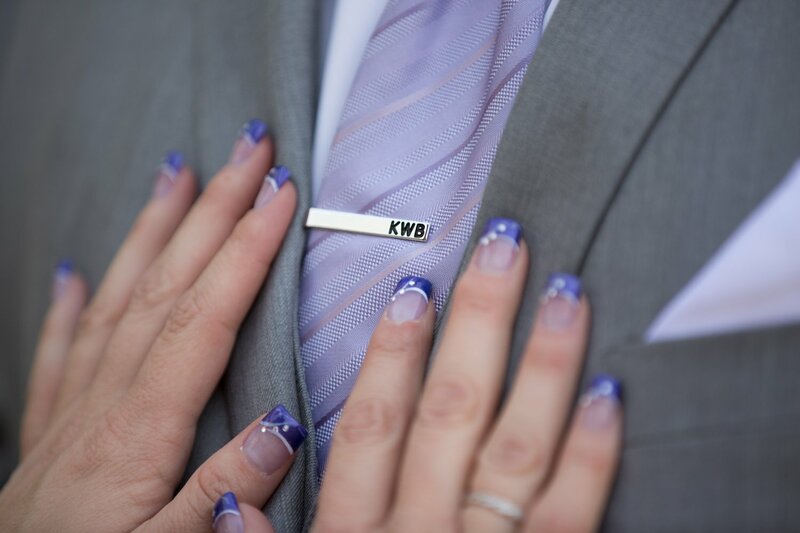 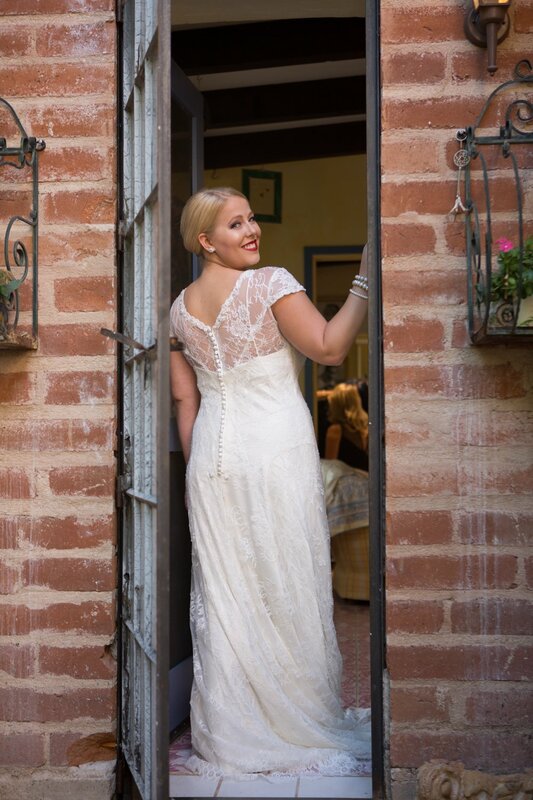 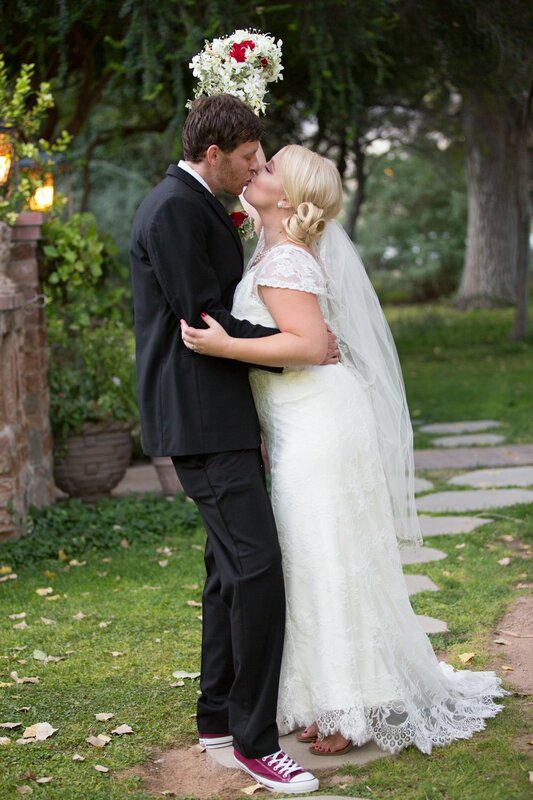 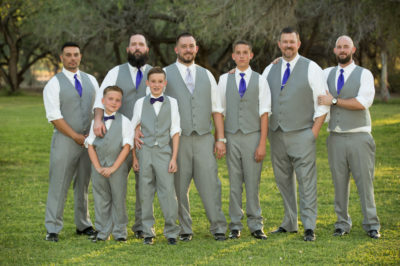 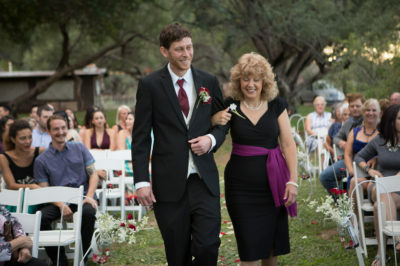 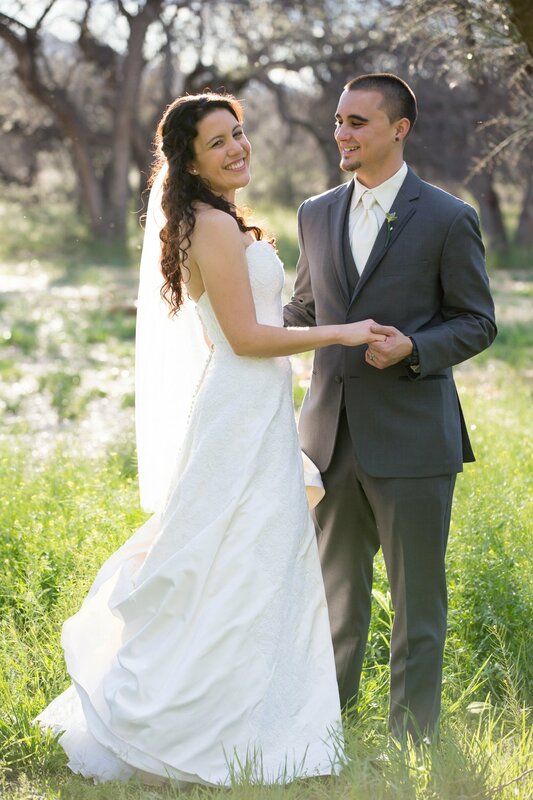 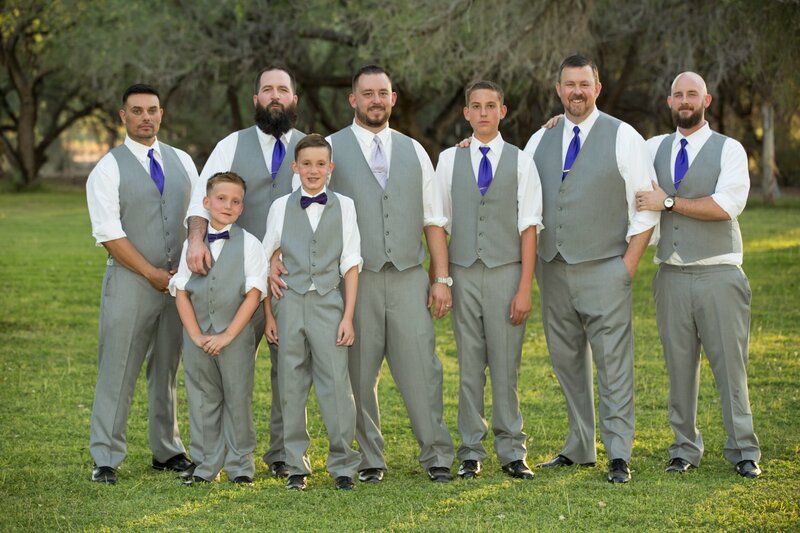 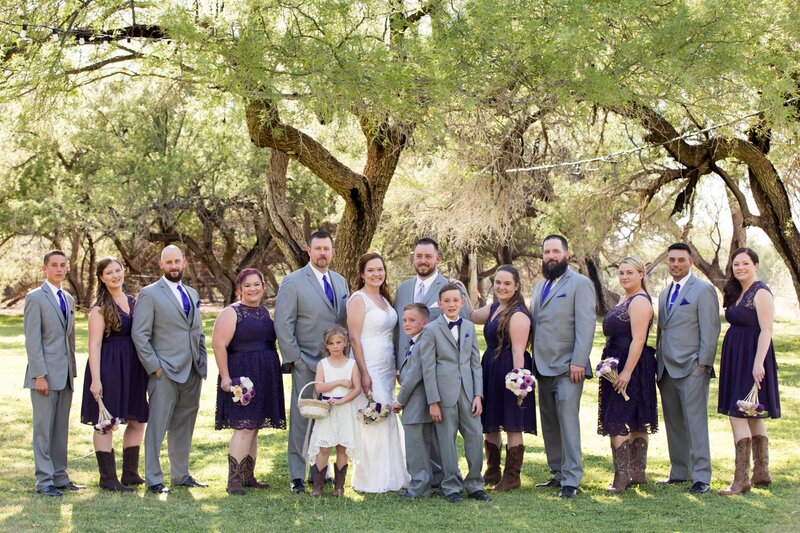 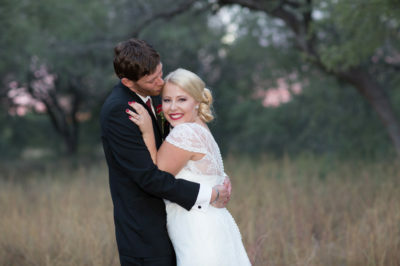 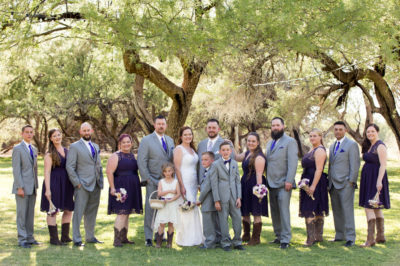 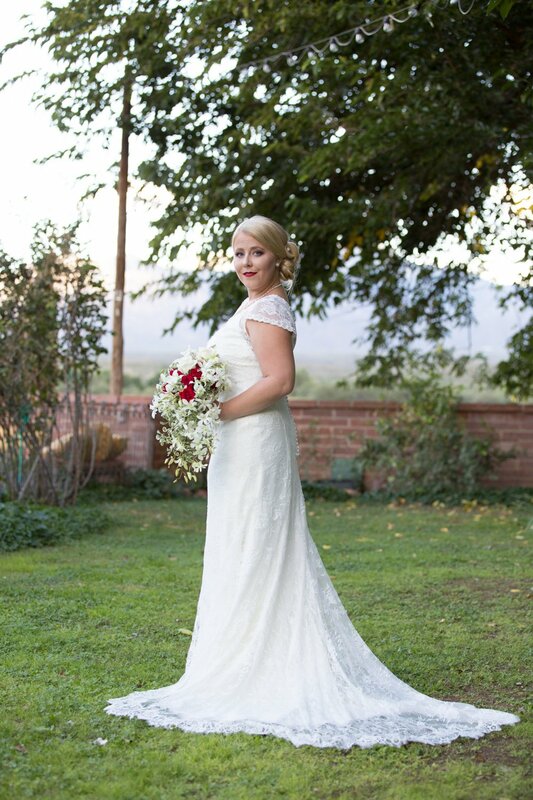 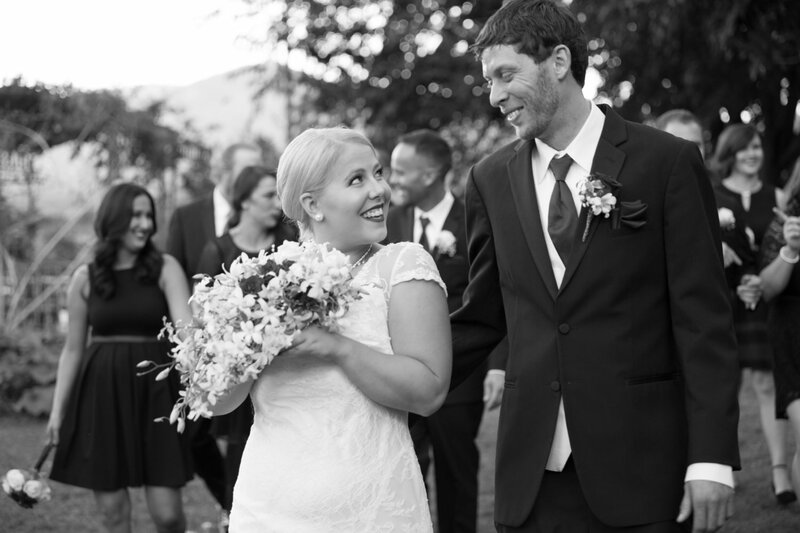 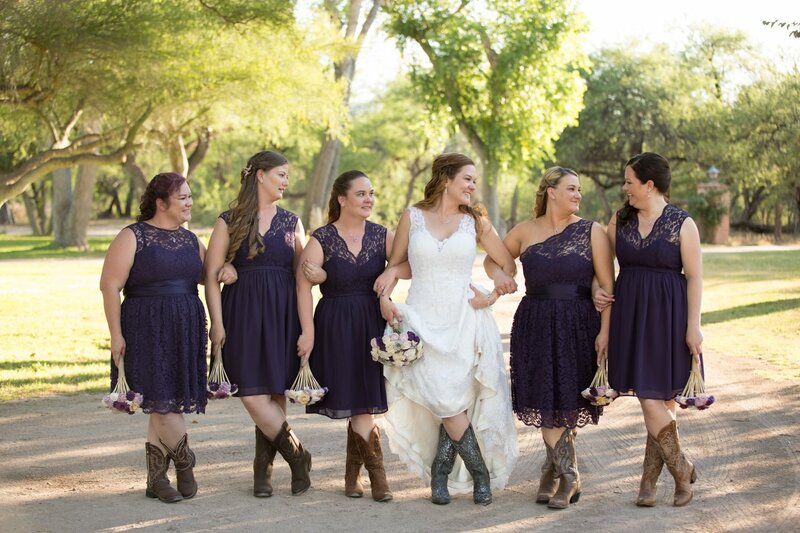 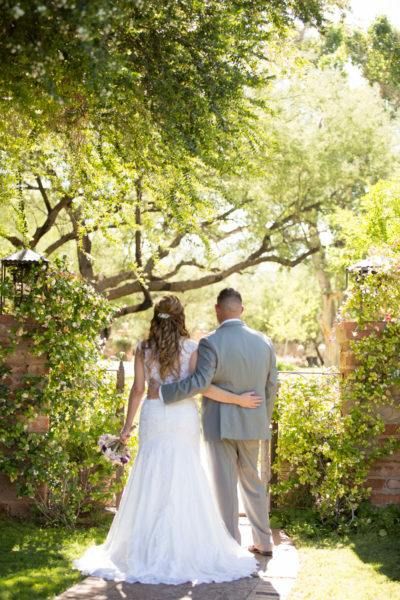 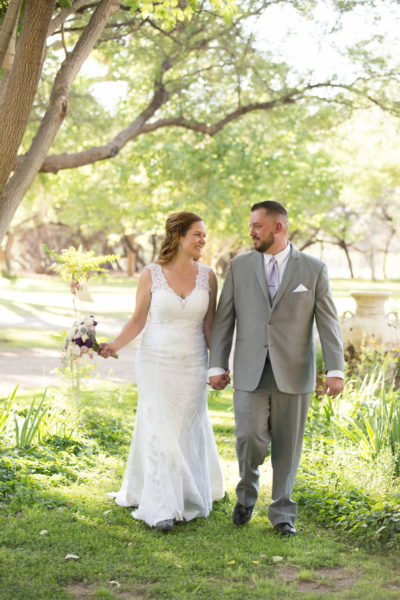 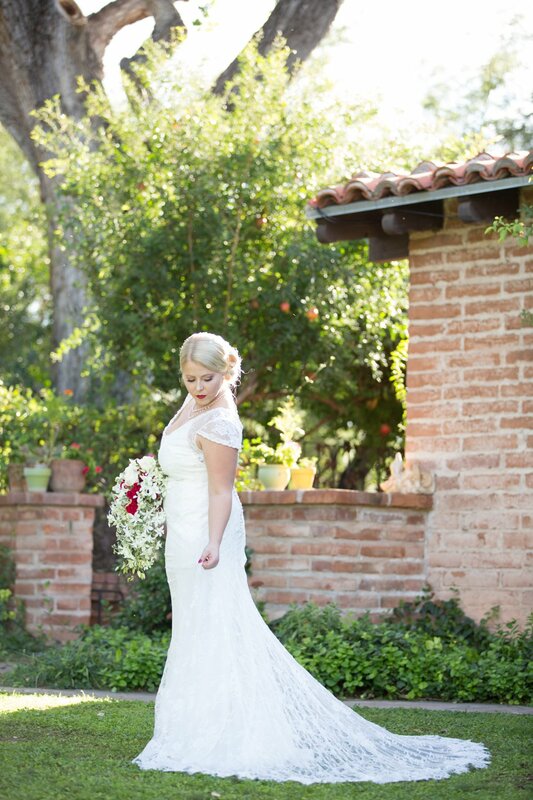 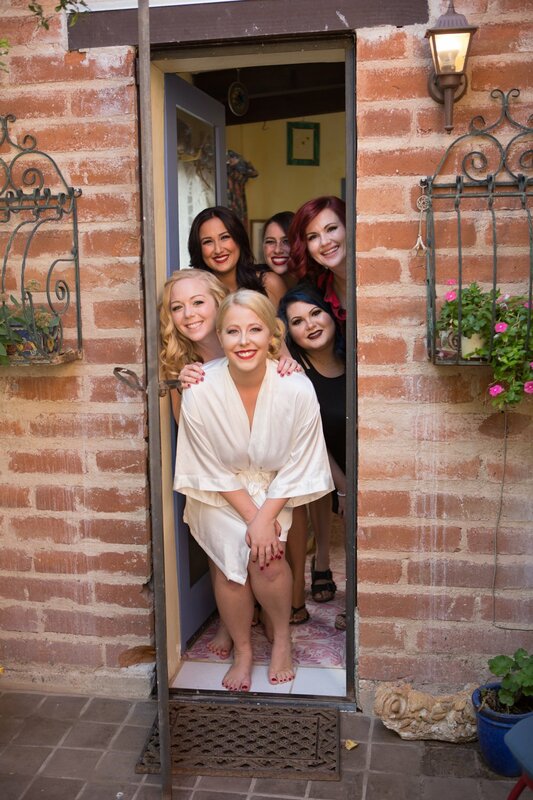 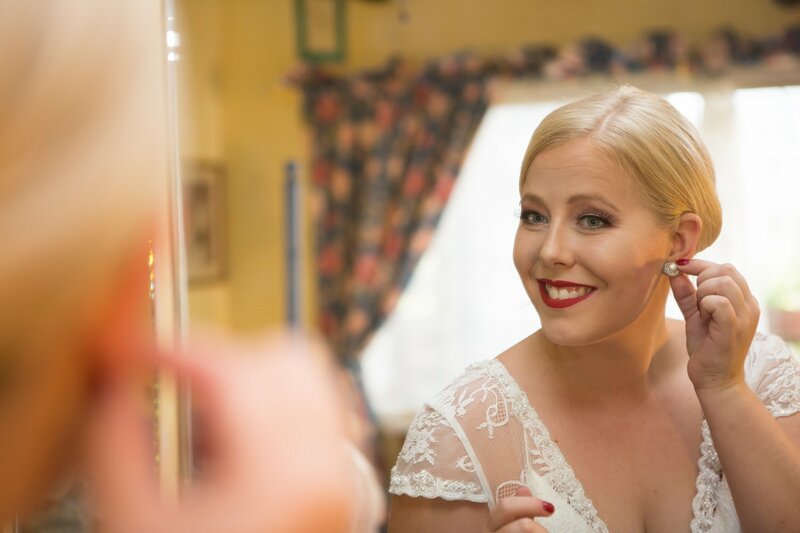 As Tucson wedding photographers, we like this property because there are so many great little areas with beautiful natural light to take the couple and wedding party. 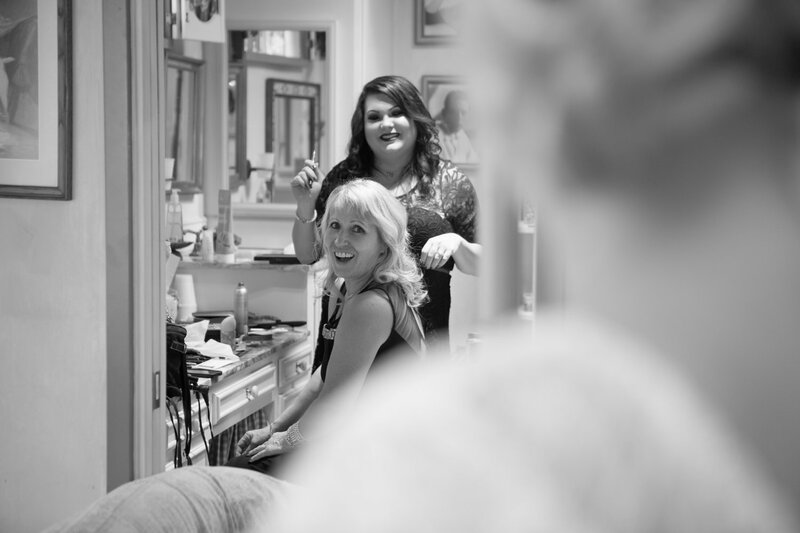 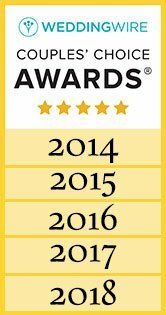 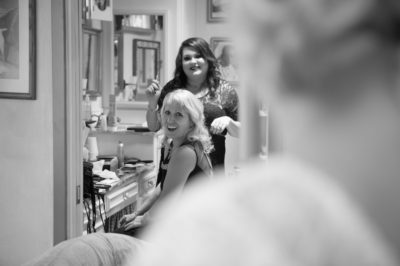 In addition, the owners are very flexible and kind, which always creates a positive experience for everyone.